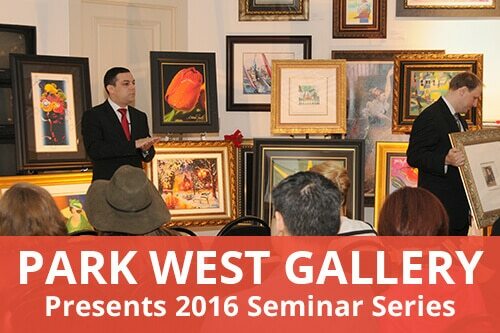 Discover more about your favorite artists, brush up on art history and gain valuable tips for collecting art with Park West Gallery’s new 2016 art seminar series. Visit the gallery in Southfield, Michigan at 3 p.m. each Sunday from January 10 through March 20 for free art seminars that are sure to enhance your knowledge of collecting and the art world. Topics include animation art, masters such as Picasso and Rembrandt, “Art Collecting 101” and contemporaries such as Thomas Kinkade and Yaacov Agam. “Whether you’re a novice or seasoned collector, these seminars are designed to instill a new passion for art collecting and gain a more well-rounded understanding for all aspects of art appreciation,” says David Gorman, Park West Gallery Director. The seminars are held at Park West Gallery in Southfield, Michigan. Each art seminar lasts 30-45 minutes and are free of charge to attend. Complimentary light refreshments will be served. Seating is limited, so RSVP at 1-800-521-9654 ext. 4 or email sales@parkwestgallery.com. From Baroque to Pop Art and everything in between, join your Park West Gallery staff in a fun, fast and informative approach to understanding the evolution of modern art through the past four centuries. Learn how Thomas Kinkade was able to establish the largest artwork collector base in history. This seminar will also discuss hidden metaphors and initials/names of his loved ones found in some of his works of art. Ever wonder what the number next to his Rockwell-esque signature means? Find out in this short and sweet seminar on the life and work of America’s most collected artist. With careers spanning over five decades and countless museum exhibitions, find out why Peter Max and Yaacov Agam are considered some of the most important painters alive today! 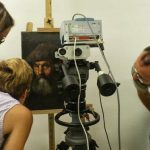 This seminar is designed to give the audience a more complete understanding of various printmaking methods as well as powerful collecting tips gained from over 2 million collectors in our 47-year history. Something everyone can relate to! Find out about the history of animation before the digital age took over, including original production cels from your favorite Saturday morning cartoons. These rare pieces of animation history will give you a better appreciation and knowledge for collecting animation art. Walt Disney and Salvador Dali met, inspired one another, and collaborated back in 1945. This film has been shrouded in history for over six decades and will be shown, along with the art, in this one-time-only showcasing and analysis of this important six-minute animated film. A discussion on two of the most important etchers to have ever lived. Gain insight into the inspiration and technique of two of art history’s greats, Rembrandt van Rijn and Francisco de Goya. For those who desire to take their collection to the next level, this seminar is worth its weight in gold! Whether inheriting an heirloom or thinking of acquiring one for your family, this seminar will cover provenance, care, restoration and more for your antique art collection. Featuring original illuminated manuscripts dating back to the medieval ages and Japanese woodblock prints dating back to the mid-19th century, you will learn everything there is to know about collecting antique art! Three of the most influential artists of the 20th century will be discussed in this seminar. Many say, “My kid can do that!” when approaching works by these artists, but in this seminar, you will learn that they were not only revolutionary for their time, but influenced the course of modern art. A tribute seminar to some of the most influential artists Park West has dealt with during its lifetime. Although they have all passed on, they live on through their art. As Park West was the primary dealer for these painters for the majority of their careers, no one could put on a better seminar to learn about the lives and works of these historic painters. Considered by many critics and historians to be the early 20th century Paris of today, Tel Aviv is a booming melting pot of culture that is making waves in art history. This seminar will feature some of the more prominent painters emerging from Israel, specifically Tel Aviv, in 2016. Don’t miss out on the chance to discover and even collect art from some of the most exciting Israeli artists today! Hi Dennis! We plan to upload 3-5 minute versions of the seminars to our YouTube page, so keep an eye our for those. Hi are the seminars filmed, and if so can they be downloaded from the web, I live in Australia so attending will be a bit hard. That would be quite the trip to make! We do plan on having 3-5 minute versions of the seminars available to view on our YouTube page, so stay tuned. Hi Em! I have forwarded your information to Client Services. Someone will contact you as soon as possible with the information. Thanks! Hello Omayra! The seminars are held at 3 p.m. every Sunday from Jan. 10 to March 20. I see from the other comments and reply’s you are doing 3-5 minute clips on You Tube but I would love as I am sure many others are as well to see the full 30 minute versions. I have attended many of Park West talks on Cruise lines as well as at Park West VIP events and have always loved them and found them very informative. 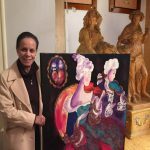 I want to thank Park West for getting me into art collection and now have a large collection of great art from a large number of great artist. Kathy and Keith Merkle took the words right out of my mouth. Bill and I would both love to see the entire seminars if at all possible. Thank you for all you do in sharing your knowledge of fine art. We love our collection! Please post the * full length * seminars on U-Tube. Many of us want to see the seminars, but don’t have the time to travel to Michigan. I agree with the Merkles and Hepburns. We’ve also been fortunate enough to go to some of the land auctions and found them equally enlightening. We’ll be watching YouTube for the 3-5 minute clips but hoping to see the 30 minute versions. When are you having another art auction in the South. All our art burned Dec. 28 when our house was destroyed by fire and we would like to replace our art collection. When are you folks going to have an auction in Australia? I am interested in obtaining Destino lithographs. Please advise. Hello Stewart, we have passed along your request to our gallery consultants, so someone should be in touch with you soon. Thank you! We own 2 Kinkade prints.We would to purchase 3 more.Plesae info.Do you ever come to New England ? We do visit Boston on occasion, but you can always request art from our gallery consultants at 800-521-9654 ext. 4 or sales@parkwestgallery.com. Hello,Neci here with question, please contact red. silkscreen print.